One man's TDP is different to another's. 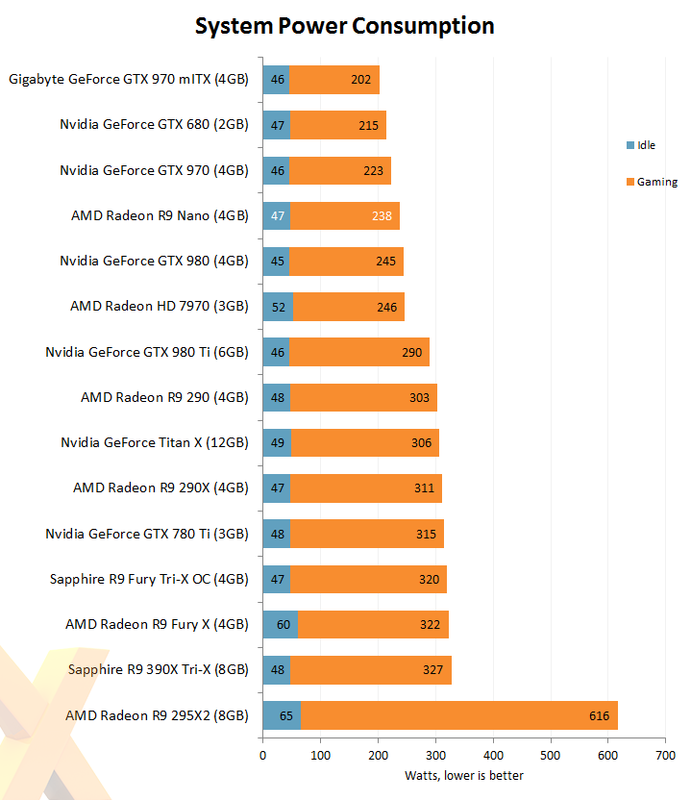 Our system-wide test reveals the sample card chews through the same amount of watts as a reference GTX 980 GPU. 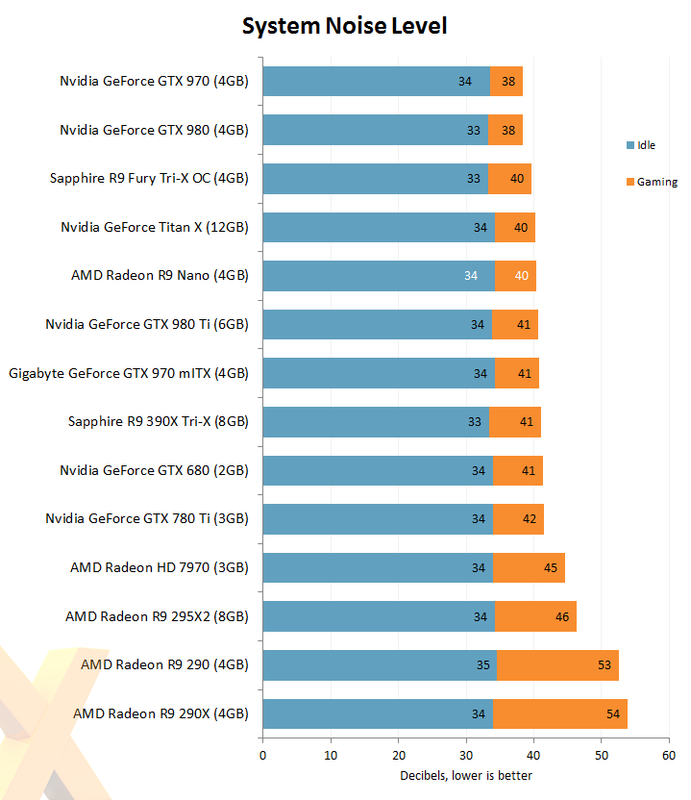 What's more telling is the 90W saved over the Fury X, achieved by scaling the frequency and voltage back. That small cooler is good enough to tame a sub-200W GPU without running into thermal problems, clearly. 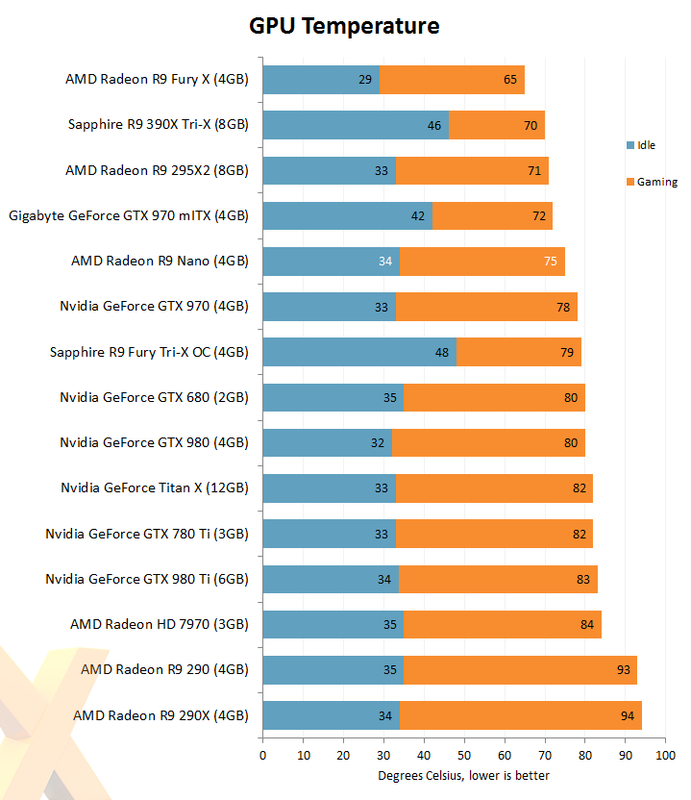 AMD could have relaxed the temperature threshold to 80°C or so to enable quieter running. Which brings us nicely on to the noise tests. The Nano isn't the quietest card on test, due to spatial limitations, but neither is it the loudest. We'd class the noise as very acceptable in a modern PC, and certainly a lot quieter than previous-generation cards that made a racket. However, we noticed significant coil whine across our suite of games, particularly in Total War: Rome II. This may be sample-specific, but it would grate us long term if this was the case with all cards.